From its start, the so-called Islamic State of Iraq and the Levant (ISIL/ISIS) has been successfully exploiting social media networks, most notoriously Twitter, to promote its propaganda and recruit new members, resulting in thousands of social media users adopting a pro-ISIS stance every year. Automatic identification of pro-ISIS users on social media has, thus, become the centre of interest for various governmental and research organisations. In this paper we propose a semantic graph-based approach for radicalisation detection on Twitter. 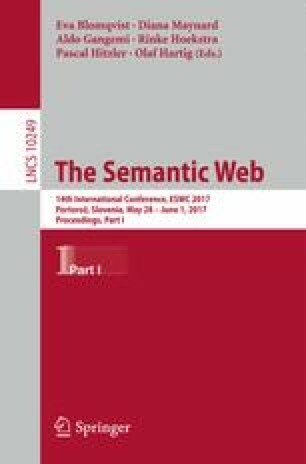 Unlike previous works, which mainly rely on the lexical representation of the content published by Twitter users, our approach extracts and makes use of the underlying semantics of words exhibited by these users to identify their pro/anti-ISIS stances. Our results show that classifiers trained from semantic features outperform those trained from lexical, sentiment, topic and network features by 7.8% on average F1-measure. This work was supported by the EU H2020 projects COMRADES (grant no. 687847) and TRIVALENT (grant no. 740934).